These J Series consoles are really something else, being Cadac you already know they sound great but did you know the J Series has superior transient response, because it is Transformer-less - however if you are a Transformer fan we can now offer transformers on the outputs as optional extras. There is no meter bridge however every input and output is metered by a high res led. meter along side the Faders, channels, groups and aux masters. 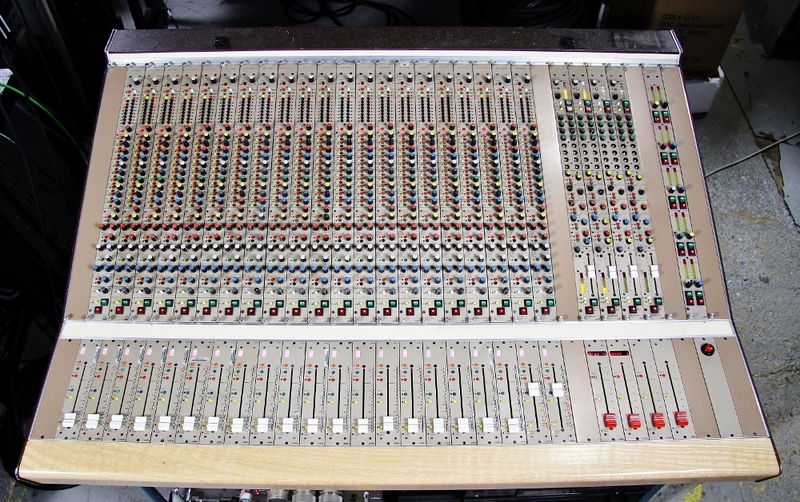 EXPANSION There are 4 unfilled slots so the mixer could be fitted with an extra 4 Groups or 4 Inputs if required. All modules can be placed into any slot within the frame so you can arrange the modules to suit you..
Cadac J Series consoles work extremely well with DAWs and they are very easy to install. All the inputs and outputs are via XLR connectors and the inserts use TRS connectors, one for insert send and one for insert return, no special split leads to make up and no fiddly multiway connectors to solder. If you need something bigger we have other J Series frames available. There is a lot more to the Cadac consoles than is written here, why not visit and I will show you. How Good are Cadac Consoles ? "Hi Don, just wanted to say a huge thank you for introducing me to this console. I absolutely love it!! The J Series also has these additional facilities : Channel insert switch selectable pre & post fader. On/off and pre/post switches on all aux pots. Signal inject with its own level pot on every sub group. Variable frequency High Pass Filter with on/off switch on Mono modules, Variable High & Low pass filters on stereo and dual modules. Input level led meters alongside the channel faders. Led metering on sub group, main group and aux masters. Etc Etc.